Be Wise. Be seekers of truth through the word. Cowards do not go straight to the source. They come from behind twisting lies through their own offense. Ignorance is hearing only one side. Go to the source. Stay close to the shepherd. Beware when these things start. You will have people who will join in because they love to stir up trouble. They are usually pew sitters. They don't get involved with anything else. 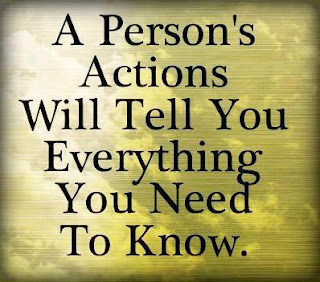 But love to go around from person to person and stir the pot. Sheep loves the shepherd but wolves hates the shepherd. Some of the many ways you will know there is a wolf in the midst of the sheep. 1. Their children and family will start to waver. 2. Some of the new babies closest to them will start missing church more and more. 3. The people around them will feel anger, fear, anxiety,pressure, the feeling of not wanting to go to church where they attend. 4. New bad attitudes from different people will arise that never was there before. I have been in ministry long enough to see and notice that there are wolves in sheep’s clothing. It becomes tiresome to see so many people who say they are a Christian and then undermine all that God is doing in and through the church. This doesn’t come as a surprise since Satan is continually trying to undo what God is doing. So we know that Satan is also at work in the church. Jesus warned us about such people when He said, "Watch out for false prophets. They come to you in sheep's clothing, but inwardly they are ferocious wolves.” (Matt 7:15, NIV) So what do these wolves look like? 12. They control through guilt, fear, rejection, intimidation, stories of fear to control, warnings of being deceived, and throws fits of tantrums, or they paint themselves a victims. Beware they love to gather and put pressure on the other sheep to conform. You will especially see this if they start to lose power. 13. Look for changed behaviors and patterns. They start clustering together. They start going around being very friendly to others when for years they never did. Their whole goal is to gain favor and groups to support their twisted views of influence. Look at the mates of these wolves. How is there attitudes? You can see a whole lot through the attitude of others.How can you tell if you yourself are a wolf in sheep’s clothing? You read the above list and are offended by it. This list does not mean that Wolves fit the whole of it. Even if we see one of these points we must be cautious at the possibility and wait for more signs before concluding that they are wolves in sheep’s clothing. Church leadership needs to be aware of such people, because these people are very destructive to the church. 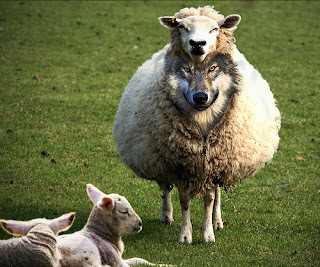 Church leadership also needs to watch for it in their own ranks, because church leadership are not immune to having wolves in sheep’s clothing. When a wolf in sheep’s clothing is identified the church leadership needs to deal with the issue promptly so to keep the damage at minimum. Some may be afraid of dealing with these wolves because of how this might affect the church. Let me be clear with this. No matter what you do, wolves will cause damage; it’s just a matter of how much damage you allow them to do. The sooner the wolf is dealt with, the less damage there will be. The next question may be how do we deal with wolves? We must follow the example Jesus gives us in Matt 18. We are first to go to the person. If there is no change, then one or two witnesses must be brought. If the person still does not comply they must be brought to the church leadership for discipline. This discipline may include expulsion from the church should the person fail to comply with the church leadership. This doesn’t mean that the person cannot come back to the church; but that they can, should they follow the directives given by the church leadership. Remember, church discipline is always about restoring. It is up to the person being disciplined to comply with the standards God has given in order to be restored to fellowship. It is always good to be proactive so there is less chance of a wolf to gain power within church leadership. One way is to be diligent to follow 1 Timothy 3 when choosing elders and deacons. This will minimize the possibility of selecting wolves in leadership. The pastor or search committee must ask good questions of the elder or deacon candidate. This includes asking the person if they agree with the vision of the church and support the pastor. If they don’t, DO NOT ENTERTAIN HIS/HER NAME TO STAND FOR LEADERSHIP. They will cause problems. Here are a few vital questions to ask of a elder/deacon candidate. 1. How frequently have you been reading your Bible in the past four months? 2. How frequently have you been praying to God in the past four months? 3. In your prayer times have you been praying for the church and it’s pastor? 4. How have you been helping to fulfill the vision God has given this church? 5. What has God been teaching you in the last week? Month? Year? If the elder/deacon candidate cannot answer these questions to the degree expected for the church leadership, then do not entertain the person for church leadership. They will cause problems in the church, because they are not hearing God’s voice for the clear direction needed to be a part of church leadership.